Sky Q introduces voice search and new personalisation features, making it quicker and easier for people to get to the movies, shows and sports they love to watch. With voice search viewers can find TV by pressing and holding the voice button on the side of the Sky Q touch remote, and simply saying what they’re looking for. 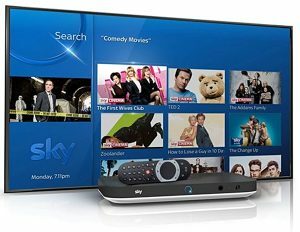 Customers at home can ask Sky Q to take them to ‘Zootropolis’, ‘Billions’ or the ‘Liverpool game’ and access a great line-up of TV. Voice search joins a number of existing features on Sky Q changing the way people watch TV, from ‘find my remote’, to the ability to pause and carry on from TV to tablet around the house. And with the Sky Q app, customers have the flexibility to take their recordings with them to watch even when they’re out of the home. The new features launch during a brilliant year on screen. With new big-screen dramas every month on Sky Atlantic, including Tin Star, Big Little Lies and Twin Peaks: The Return, a new premiere every day on Sky Cinema, and the best action on Sky Sports, Sky customers have a lot to look forward to. Plus, only with Sky Q, customers can watch the widest range of Ultra HD programming, from upcoming dramas including Guerrilla and Riviera to blockbuster movies such as Ghostbusters and X-Men Apocalypse and live Formula 1® for the first time, as well as 124 Premier League games this season. There’s more in store for Sky Q later this year, including voice control and sports restart. 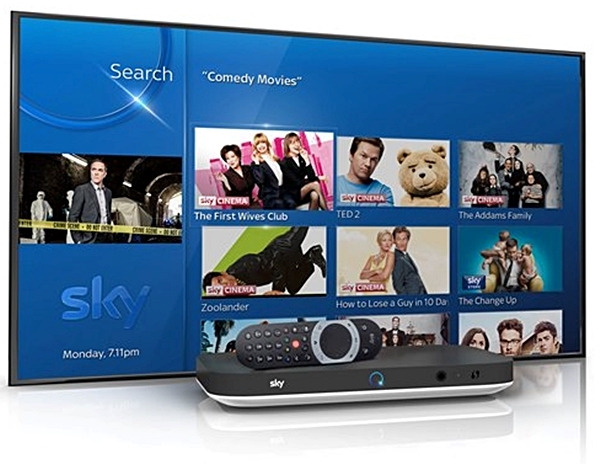 In 2018, Sky will launch Sky TV without the need for a satellite dish, bringing Sky to millions more homes.